A young woman who had £50 fillers injected at a Thai clinic after finding a cheap deal was horrified when her lips turned blue and lumpy. 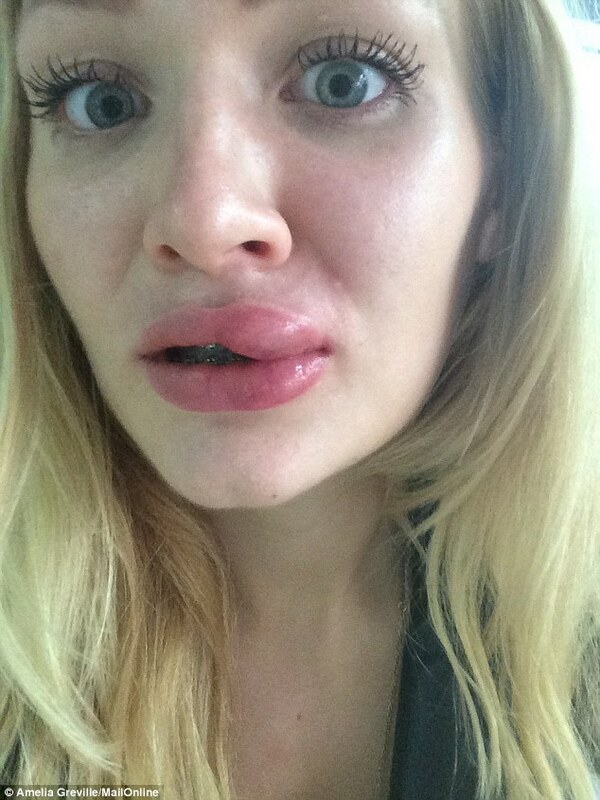 The 24-year-old,was not concerned about the cheap price – in the UK Juvéderm fillers normally cost up to £400 – as she believed Groupon was a ‘trusted site’.After having the injections in April last year she was initially happy with her new look, as her lips were much plumper.But within months she was devastated when hard, wart-like lumps formed on her mouth. When Miss Grenville returned to the clinic two months later, staff injected her with another fluid they claimed would rectify the problem.Instead, to her horror, her lips started to swell and turn blue. Later, more yellow, painful lumps formed on top of the initial lumps that already protruded from her mouth. Now, she is desperately fundraising to have an operation to fix her appearance.